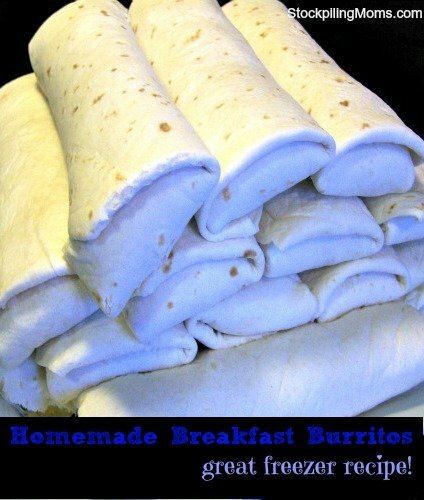 Homemade Breakfast Burritos is very easy to prepare and makes 16 on the go breakfast burritos. My husband loves having these in the morning on his way out the door to work! 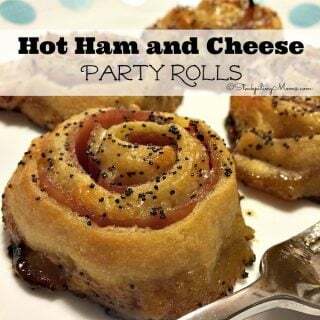 They are perfect to prepare on Sunday for the week and to freeze too! By preparing them in advance I have his breakfasts ready to go all week long! 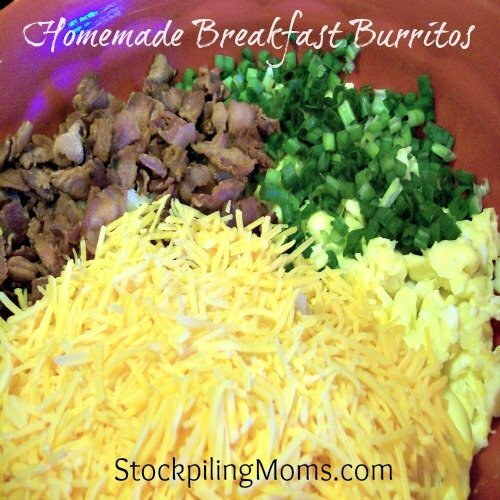 Homemade Breakfast Burritos are the easiest freezer meal. 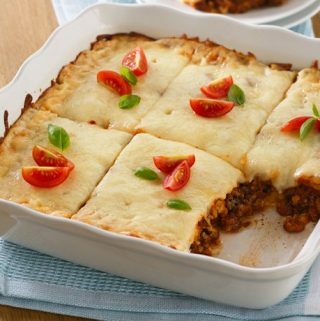 This tastes delicious and is a great way to save time and money! 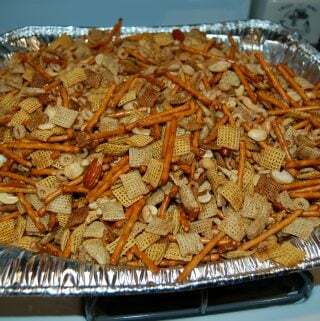 This is a great recipe to make ahead. 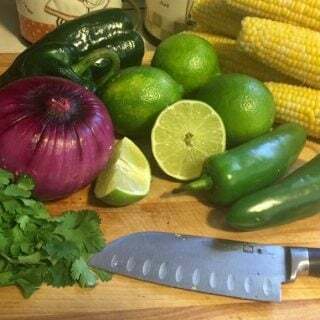 I love preparing this ahead of time and freezing these breakfast burritos. It really saves you time and money. I love to make these and send them with my husband in the morning. It is a great way for him to start the day. It keeps him fulfilled until lunch. 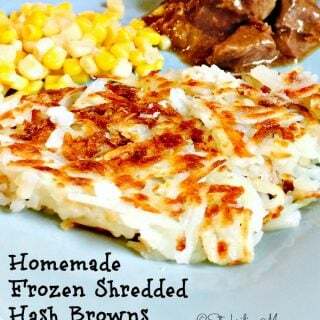 For this recipe we used boxed hashbrowns but you can use frozen hashbrowns with no problem! We like to serve with Salsa and Sour Cream. Cook bacon in a large non-stick skillet. 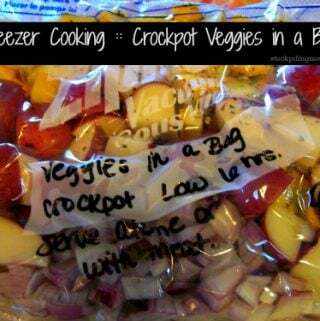 Drain on paper towels and set aside to cool. Cook hashbrowns according to package directions. Add cooked hashbrowns to large mixing bowl. Scramble eggs and season to taste. You want to leave them a little more “rare” than your normal preference since they will cook a bit more in the microwave when heating. Mix ingredients together and wrap burrito style in your tortillas. 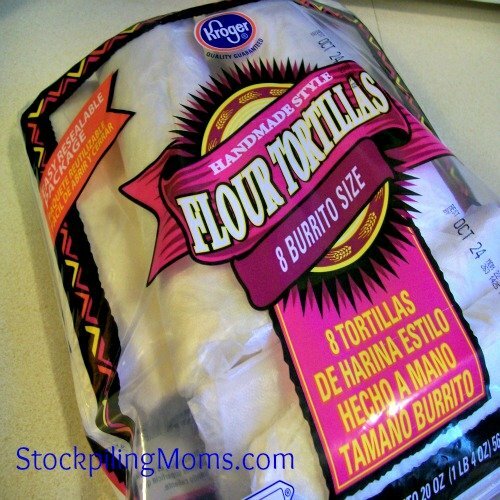 It helps to microwave the tortillas for about 20 seconds to make them easier to roll. 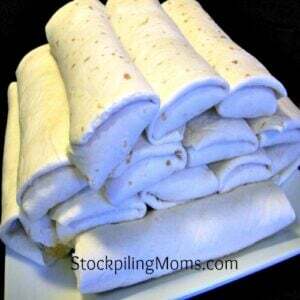 Lay the finished burritos on a cookie sheet and place in the freezer for about 30 minutes. No need to worry about them touching. You are just freezing them enough to make them easier to wrap. 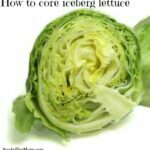 Remove from freezer, wrap them individually in plastic wrap and place them in the tortilla bags to freeze. When ready to cook, remove plastic wrap and wrap burrito in paper towel loosely. 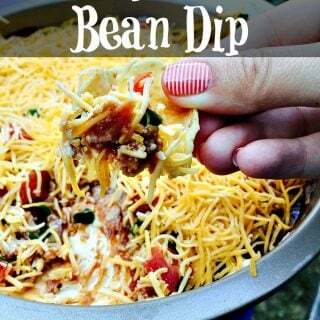 Place on microwavable plate and put in microwave for 2 minutes 15 seconds. 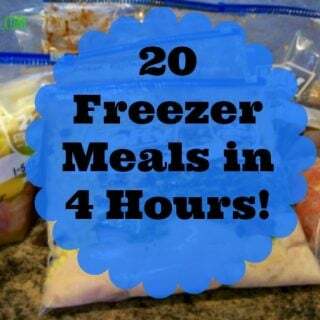 I would suggest investing in a foodsaver if you are going to freezer cook. I personally love mine. This sounds good, I never have time to make a decent meal in the morning. Are there any other breakfast freezer ideas? 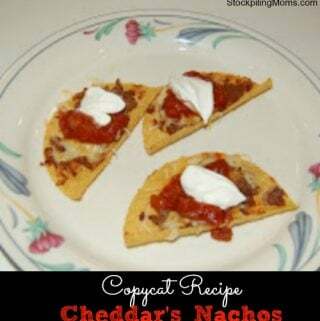 I just made these, I did char the tortillas on the stove flame, rather than microwaving them and used a can of RoTel and pepper jack cheese for added spice and they are terrific! Looking forward to quick breakfasts or midnight snacks. Thank you for the idea! I have been doing these for yrs. but easier, in mass quanities. I brown my bacon in oven on cookie sheet. Chop bacon. Using couple of tbsp bacon grease in large skillet, add bacon and chopped onion. Saute. Add eggs whipped with milk. Cook and gently move cooked eggs to middle to finish cooking raw eggs. Remove from heat when glossy. 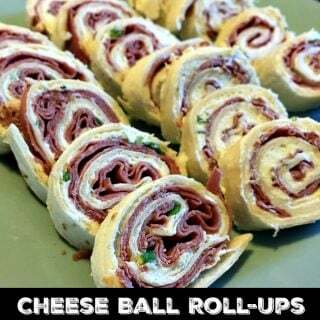 Sprinkle cheese on top and let set until cheese is melted. Then you can “cut” with spatula to place in warm tortillas. 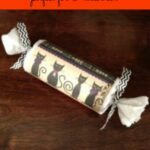 Wrap leftovers in wax paper individually. Store in freezer bag. Reheat in wax paper. What size box is the hash browns? Thank-you for asking about size of hash brown box. Did you ever get an answer? I have updated the recipe now – We originally used Betty Crocker Seasoned Skillets, Hash Brown, 5.2 ounce boxes. However that brand is no longer available so I have been using Hungry Jack now instead or you can use frozen. I made these homemade breakfast burritos and froze them and they were awesome! We tossed out our microwave 6 months ago, and haven’t looked back. 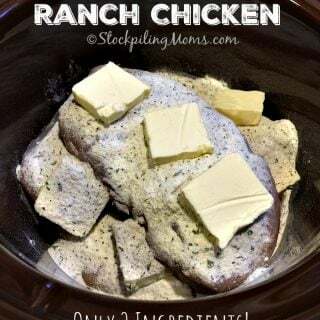 Do you think these would reheat well in the oven or on the stove? Oh yes I do. You might want to spritz them with a little water. Good for YOU! I would go at a low temp to reheat – be sure to spritz with water too. I would try 300 degrees. Let us know how it works! 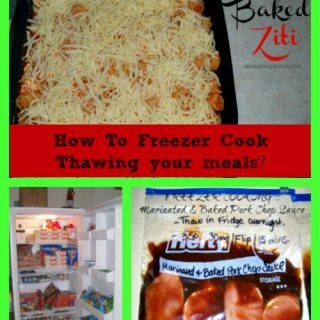 It is best to thaw and then reheat so they don’t dry out in the oven. How large are the tortillas do you use? I think my grocery store carries only one size of tortillas. Do you have to cook the hash browns first or can you add them frozen?